Shortly after this experience, a friend of Ogasawara’s who worked for the US-based dolphin swim facility, Water Planet, invited him to Florida to assist in the development of a therapeutic water therapy programme for children with special needs. “I was overwhelmed by the sophistication of the programme, so I quit my job in Tokyo to move to the US,” he reflects. Inspired by this, Ogasawara jumped into the pool himself for a Watsu treatment. “I was moved to tears after my first session and decided then and there to learn more about this unique therapy, so that I could share it with other people,” he remembers. 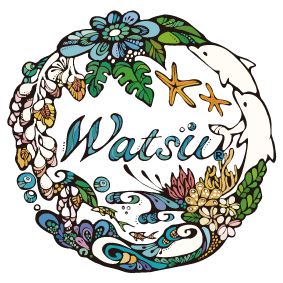 Training under the guidance of Watsu founder, Harold Dull, and renowned aquatic instructor Theri Thomas, Ogasawara became a certified practitioner and instructor for the Worldwide Aquatic Bodywork Association (WABA) and moved back to Japan with the intention of opening a centre of his own. Undeterred by this setback, Ogasawara moved to the subtropical island of Okinawa in 2009, where he opened the Okinawa Watsu Center inside one of Asia’s biggest thalassotherapy (seawater therapy) facilities, the Kanna Thalasso Okinawa. “Okinawa is well known as a healing destination, especially in the realm of thalassotherapy,” he remarks.